When choosing a photo booth company for your photo booth hire, either for your wedding, corporate event or party, choosing the right company is an important decision to make. Firstly are the photo booth hire company full time? We feel this is the most important factor because if the company are full time, there is always somebody to answer your questions during the working week, either by telephone or email. How many photo booth hires does the company perform each week? 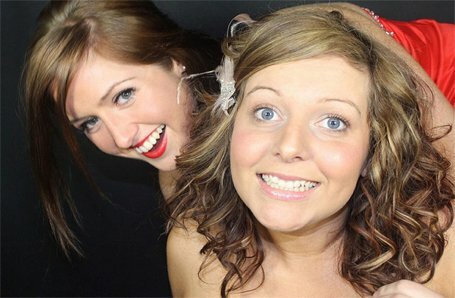 What features do you get with your photo booth hire? All our photo booths have touch screens, the main benefit of this is it gives your guests the choice between colour and black & white prints each time they visit the photo booth. Our photo booths also perform video messaging, this is a major bonus especially for weddings and birthday parties as the booth will also allow your guests to leave you a 15 second video message. We then make you a DVD movie containing all the video messages left for you and the best part is, we don’t charge you an extra penny for it with your photo booth hire. The party photo booth and the super photo booth also have inbuilt wind machines with an on/off switch. This is great fun for adding that extra bit of excitement for your guests when they enter the photo booth, again, this is free with your photo booth hire. Finally, new for November 2011 we have our facebook, twitter and email remote station being launched. This will allow your guests the option of sharing their photos instantly once they have been in the photo booth and had their prints. Your guests would simply select their images from the touch screen terminal that will be on a table away from the photo booth and they can choose to upload them directly to their own facebook wall, or they can tweet them, or simply send them to their email account. So overall the extra features that Picture Blast offers with in the standard photo booth hire package adds so much more value to your booking.